Bekiesińska-Figatowska M, Romaniuk-Doroszewska A, Brągoszewska H, et al. Seventeen years of prenatal magnetic resonance imaging at the Institute of Mother and Child in Warsaw. Polish Journal of Radiology. 2018;83:94-102. doi:10.5114/pjr.2018.74431. Bekiesińska-Figatowska, Monika, Anna Romaniuk-Doroszewska, Hanna Brągoszewska, Beata Iwanowska, Sylwia Szkudlińska-Pawlak, Jarosław Mądzik, and Marek Duczkowski et al. 2018. "Seventeen years of prenatal magnetic resonance imaging at the Institute of Mother and Child in Warsaw". Polish Journal of Radiology 83: 94-102. doi:10.5114/pjr.2018.74431. Bekiesińska-Figatowska, Monika et al. "Seventeen years of prenatal magnetic resonance imaging at the Institute of Mother and Child in Warsaw." Polish Journal of Radiology, vol. 83, 2018, pp. 94-102. doi:10.5114/pjr.2018.74431. Bekiesińska-Figatowska M, Romaniuk-Doroszewska A, Brągoszewska H, Iwanowska B, Szkudlińska-Pawlak S, Mądzik J et al. Seventeen years of prenatal magnetic resonance imaging at the Institute of Mother and Child in Warsaw. Polish Journal of Radiology. 2018;83:94-102. doi:10.5114/pjr.2018.74431. The purpose of this paper is to summarise and to present the experience of the main Polish centre for prenatal magnetic resonance imaging (MRI) and to discuss the place and role of MRI in antenatal diagnosis, management, and counselling. Retrospective analysis of the examinations performed in the years 2001-2017. In total, 1221 medical records and/or image files were collected. 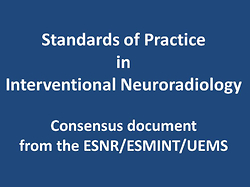 The full documentation of ultrasonography and MRI referrals, reports, and images was not available in every case. During the first three years 98 pregnant women were examined (approximately 33 per year, one study per fortnight). After purchase of own MR scanner, the number of examinations grew constantly, reaching 208 in 2017, which means almost one per day, and the highest number was eight in one day. We examined 45 pairs of twins, including three pairs of conjoined twins. MRI at our Institute is a practically used second-line foetal imaging tool, necessary to confirm, complete, or correct sonographic diagnoses, with important impact on clinical decisions concerning management of pregnancy and of the neonate, termination of pregnancy, choice of the time, place, and mode of delivery, and neonatal care, as well as on counselling. In experienced hands, MRI is to date the last and the best non-invasive method of diagnosis in utero. It is frequently requested by the interdisciplinary team for foetal diagnosis and therapy and routinely performed in everyday practice.